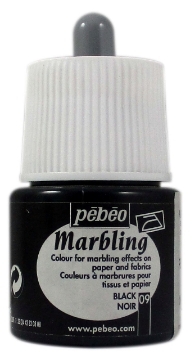 Marbling is a method of printing multi-coloured floating or marble-like patterns onto fabric, paper or any other light base. The colour is first poured to a thickened liquid and then designed into artistic patterns. Paper or fabric is then briefly laid down upon the surface of the liquid to absorb the colours. 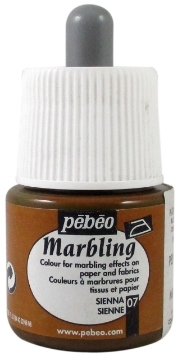 Pebeo Marbling range consists of 9 vivid, water based, ready to use colours and 1 thickening powder to carry out the art of marbling easily on fabric, paper or any other light base. 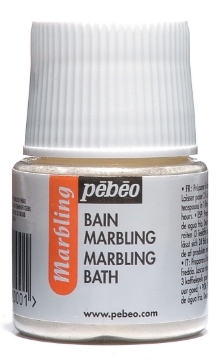 The technique of Marbling used with Pebeo colours is a simplified and modernized bath technique. 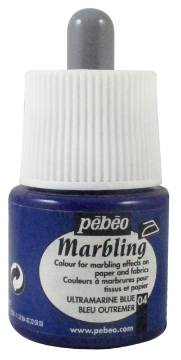 Preparation of the mixture and addition of the colours: Add 2 heaped teaspoons of Pebeo Marbling Thickener to 1 litre of water and stir thoroughly. Allow the mixture to rest for 2 hours. 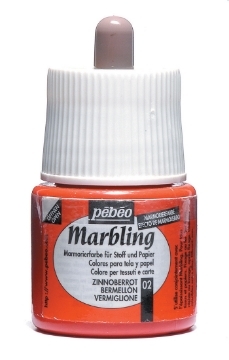 Pour the mixture into a plastic tub till a height of 2-3cm layer. 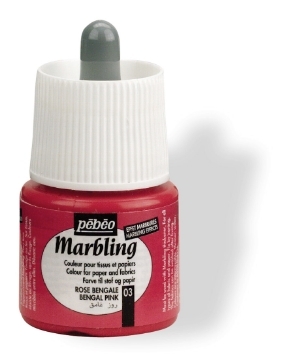 Using a dropper, deposit the colours onto the surface of the mixture. 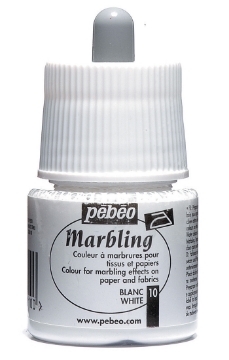 Creating marbled effects: Allow the drops of colour to spread for a few seconds. Then swirl the colours using either a wooden stick, the point of a knife or a comb until you obtain the patterns you want. 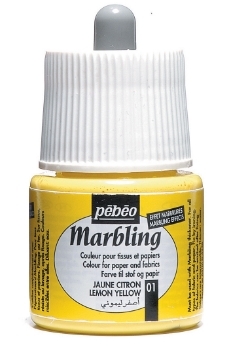 Colour transfer and drying: Carefully lay the paper or fabric you want to decorate on the surface of the colouring mixture. Leave it for 10 seconds before lifting it out, then rinse quickly under running water to remove the excess colour. Allow to dry flat. 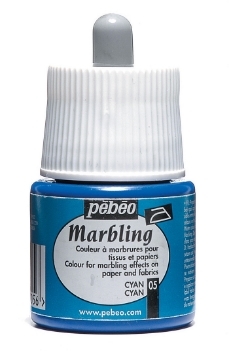 To fix the colours onto fabrics, iron the reverse side of the fabric for three minutes at the cotton setting. 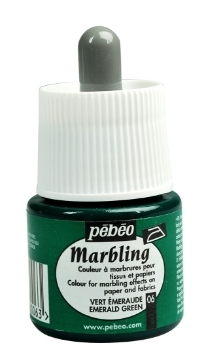 Pebeo Marbling Bath Thickener Powder used with pebeo colours for various techniques like printing, creating marble effects.